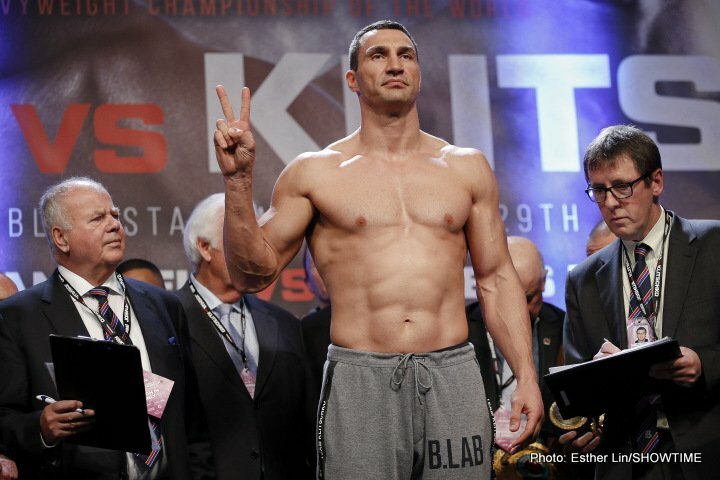 Wladimir Klitschko Sure Looks Like He Could Come Back – But Will He? They almost always come back, even the smart, well invested former champs. And Wladimir Klitschko sure caused something of a stir with his recent uploaded video, showing the former heavyweight king sparring in the ring, looking trim and fit and generally looking great. At age 42, and after dominating the division for well over a decade, one would think Klitschko is content today, safe in the knowledge that he did it all. Still, as soon as the sparring footage was uploaded a number of boxing sites ran with stories with headlines asking if a comeback was on the cards. It’s unlikely Wladimir will come back and actually fight again, but in this sport you never can tell; we fans have simply seen too many unlikely and unexpected ring returns to be able to rule anything out. Klitschko lost his last two fights – being embarrassed (by his own admission) by Tyson Fury in a fight where Klitschko barely let his hands go, and then being stopped late by Anthony Joshua in a knockdown-filled rumble that proved far more entertaining – yet if he did return he would almost certainly be able to defeat a number of recognisable names. Guys like the Manuel Charr-Fres Oquendo winner or Trevor Bryan would likely fall at the feet of the 42 year old, but what would that prove? Would Klitschko have any interest in fighting anyone but the elite of the division? A return with Fury would be hugely interesting, especially after all that has happened to both men since November of 2015, and maybe Wladimir does crave revenge, a chance to redeem himself for his most unedifying pro bout. Then again, we all know how close Klitschko came to taking out Joshua – a return of that fight would be a smash hit no doubt. Fans haven’t stopped wondering if a comeback is on the cards since. Next boxing news: Tyson Fury Begins Training Camp For Deontay Wilder Fight: I’m Gonna Rip Your Heart Out And Feed It To You! You are here: Home / Boxing News / Wladimir Klitschko Sure Looks Like He Could Come Back – But Will He?